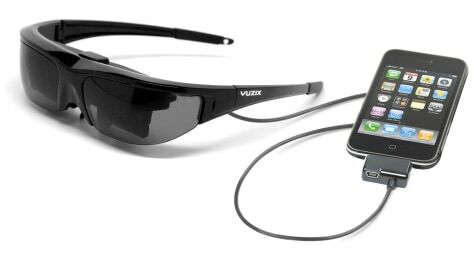 Plug your iPod into these eyeglasses, sit back, and you’ll feel like you’re in a movie theater. A tiny, rechargeable built-in lithium ion battery provides up to five hours of continuous use (perfect for domestic cross-country flights). Skymall.com; $179.95.